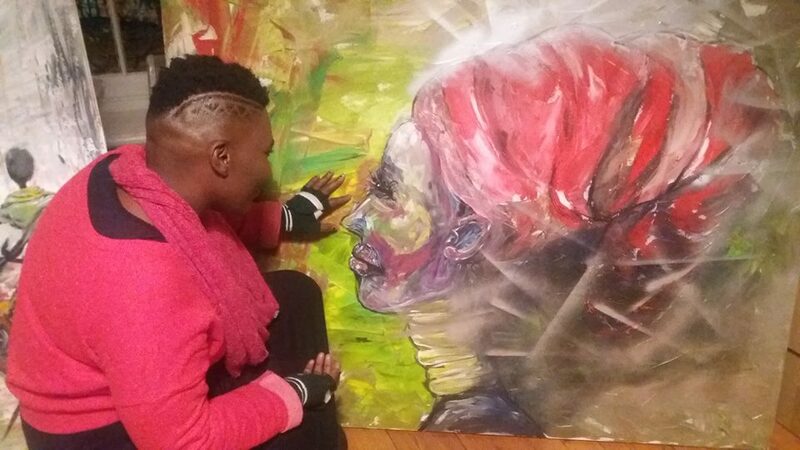 Artist Samkela Stamper had a burning desire to use her talent and passion to make a change. 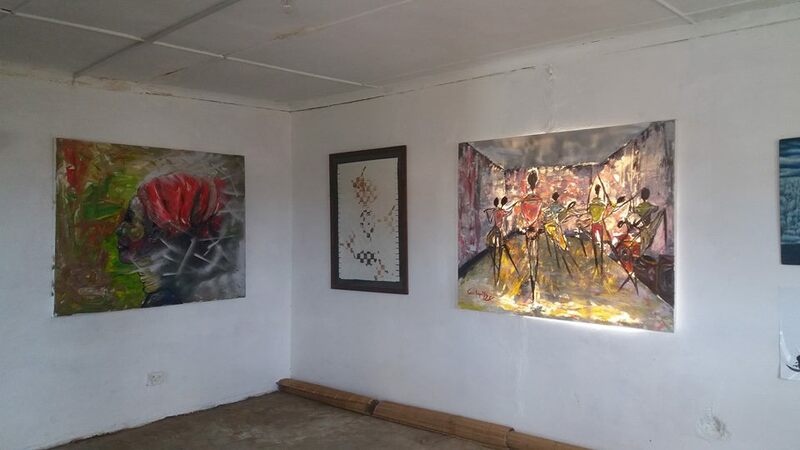 Last year she set in motion what can only be described as a tsunami-like wave of change when she opened the Thandeka Stamper Art Gallery, a first for the rural community of Peddie in the Eastern Cape where she was born and raised. 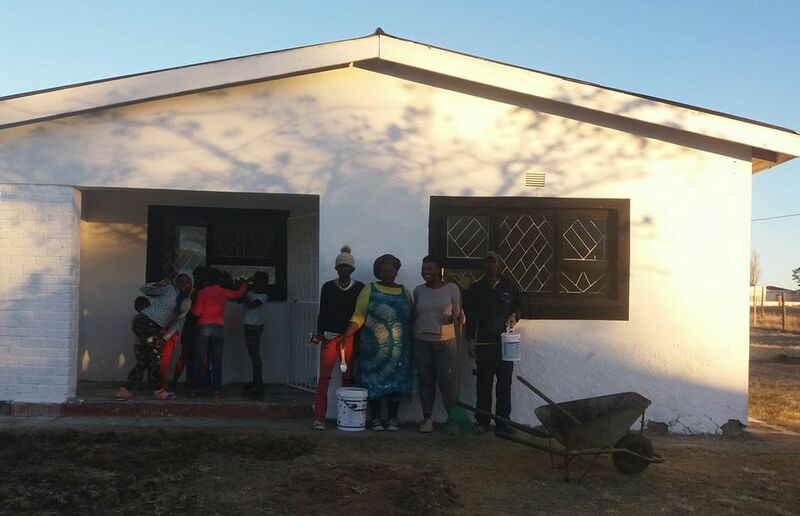 Following her undergraduate degree at Rhodes University, Samkela had the opportunity to train under Swazi-born master ceramicist Meshack Masuku in Kenton-on-Sea. When a call-out came for artists whose art is located in public spaces she answered the call. 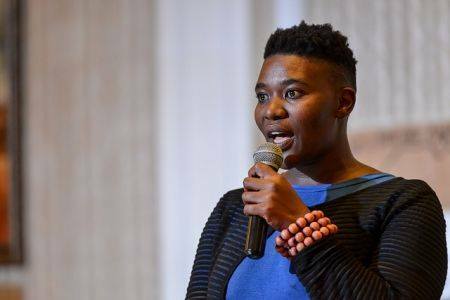 Out of eight finalists she won the R10 000 prize, based on her proposal of working with communities back home in Peddie. She knew she wanted to do something radical but didn’t know what exactly. She had the material and now just needed a canvas. “For me as an artist there is an argument: should we do art for art’s sake or should we do art because of what derive out of it? For me, I can’t afford to do art for art’s sake. 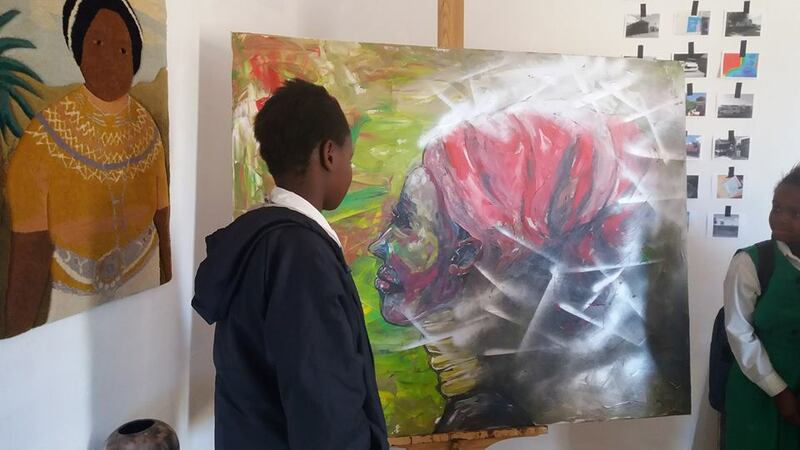 I come from that particular village and I want my own people to have access to an art gallery. If we have 118 villages in that area, let’s argue that we have one artist in each village. Where is their outlet? Where do they get to hear about funding information that I’ve been privy to? The canvas she was looking for came in the form of the home of her late grandmother, Thandeka Stamper, after which the gallery is named. She describes it as a family home with a lot of history. 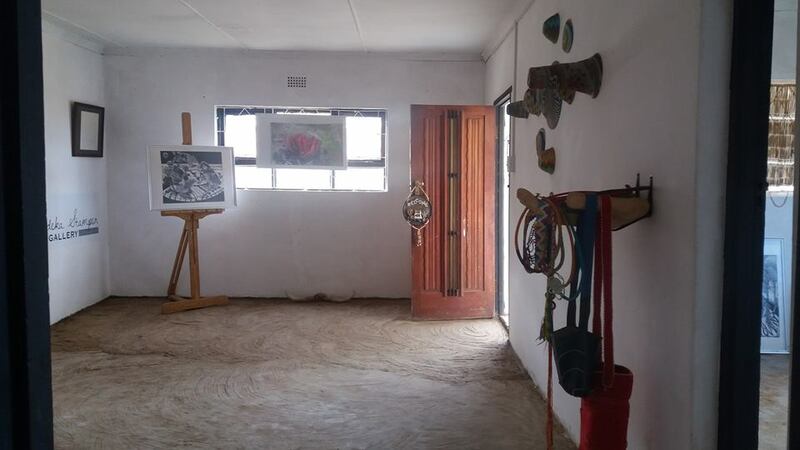 It was standing empty at the time and so after asking her mother’s permission, she channelled the funds into creating what would become the first rural art gallery. While opening a rural art gallery is impressive enough, the gallery itself is so much more than simply a place where one can view art. Samkela explains that the biggest clientele at the gallery are the kids that come there. The gallery has become an after-school haven with opportunities beyond the basics of art. 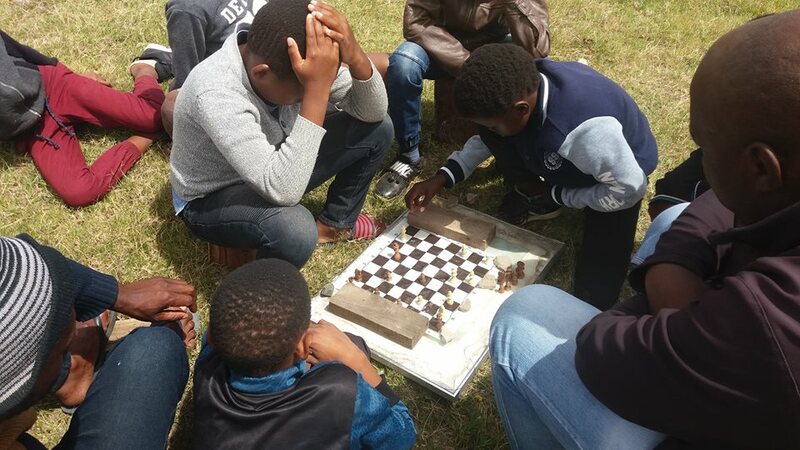 Games of chess have become a regular occurrence and the team is building up a reading room slowly but surely. Samkela says she is having a lot of fun and loves what she is doing but admits that it’s not easy. 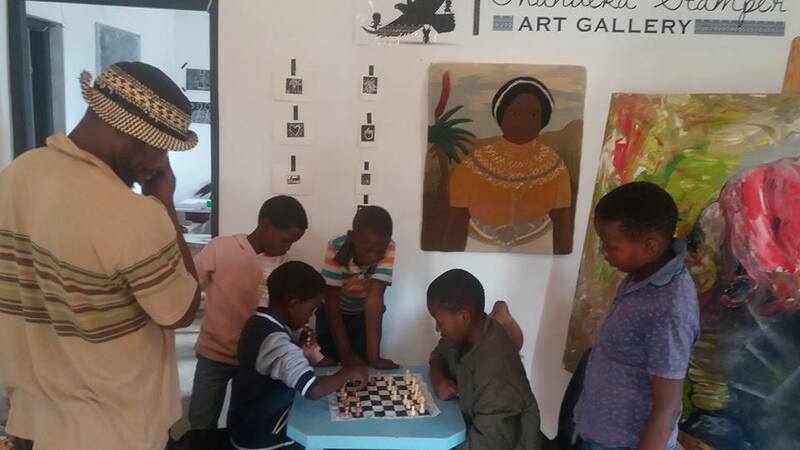 On top of overseeing the smooth running and growth of the gallery and executing a commission with the Department of Arts and Culture to beautify spaces in Peddie, she is currently completing her honours degree and is a single mom to her 10-year-old daughter. But her attitude is that it can be done. And day by day she does just that. Join the Thandeka Stamper Art Gallery community online on Facebook here to keep in the loop of how this inspiring ‘artwork’ transforms and grows.